Contest: Show Us Your Neighborhood Landmarks! 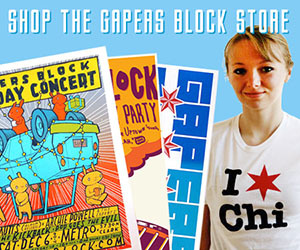 Gapers Block is teaming up with Explore Chicago for a photo contest -- and the winner gets to fly a friend here to Chicago for a weekend! 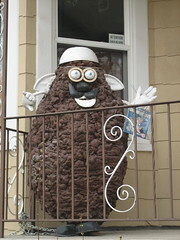 To enter, take a photo and write one or two paragraphs about a "personal landmark" in your neighborhood -- not necessarily something huge and obvious, like the Bean, but something that helps guide you or your friends through your neighborhood -- like the weird Mr. Potatohead sculpture shown here. 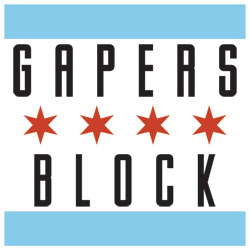 Send the photo (or a link to it on flickr or other image hosting service) and your writing to contests@gapersblock.com by midnight on Friday, May 21, with the subject line "landmarks." All entries will be compiled into a feature posted here in A/C, and two entrants will win a round-trip voucher for a friend to fly into Chicago on Southwest Airlines! Good luck, and look forward to seeing your neighborhood landmarks! The fine print: One entry per person. Travel must be completed by July 31. Friend must live in a Southwest market. Not open to Gapers Block or Explore Chicago staff.